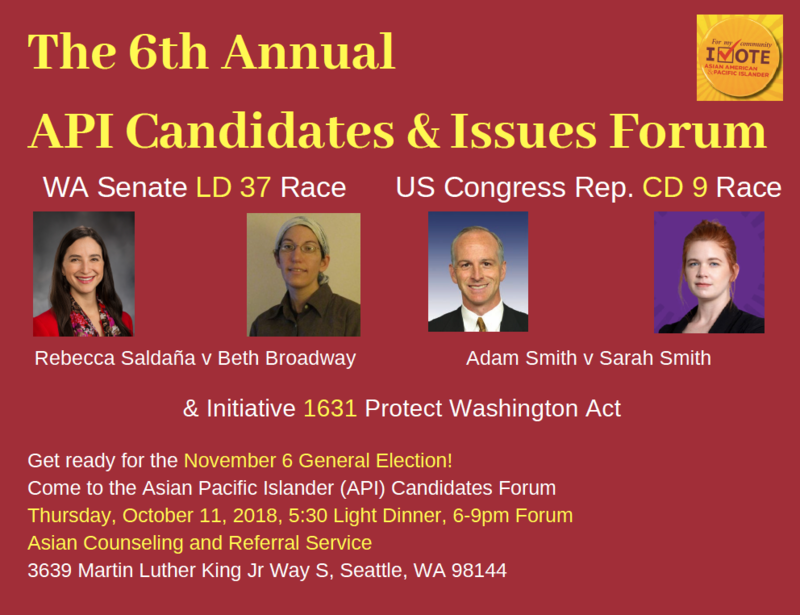 Not one, not two, but THREE candidate forums this October? Well you don’t say! 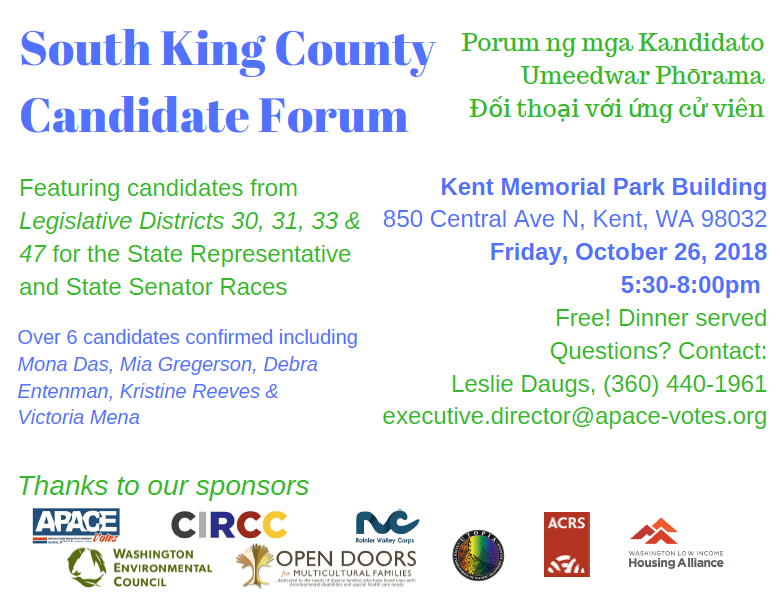 King County residents get three opportunities to meet their candidates this election season, with forums happening in Seattle, Sammamish and Kent. 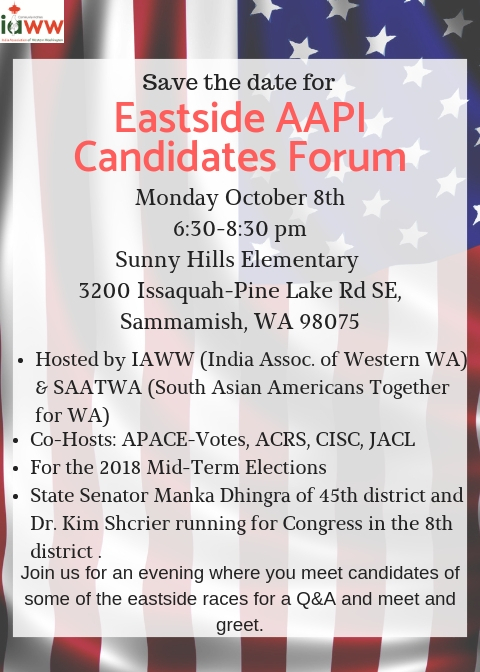 See the flyers below for more details, and mark your calendars so you can meet your potential representatives!